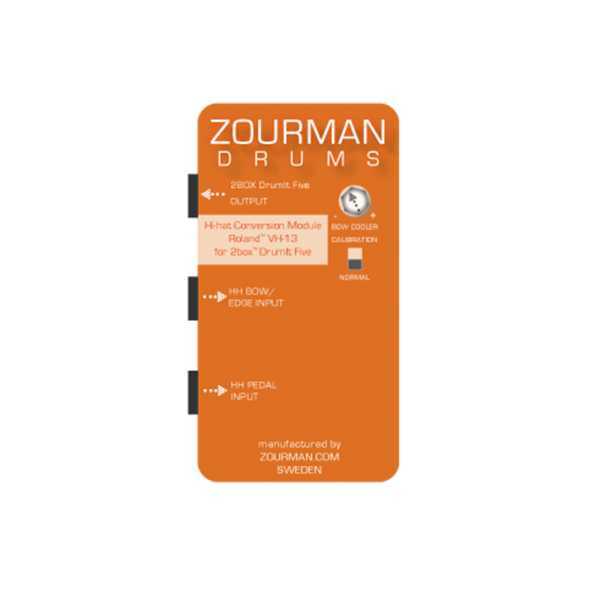 The Zourman conversion kit allows you to use Roland hi-hat controllers VH-13 with your 2box sound module. This little box is the ultimate plug-and-play solution. Just plug in your Roland and 2box cables at the designated jacks and you are ready to go.